The Dodgers drafted three quality players in Rounds 3-5 of the 2017 MLB Draft on Tuesday, headed by University of Houston catcher Connor Wong. They also popped Park Vista Community HS (Fla.) right-handed pitcher James Marinan in the fourth round and University of Utah right-handed pitcher Riley Ottesen in the fifth round. He has been comped to current Dodger Austin Barnes and Dodger farmhand (and last year’s 32nd overall selection) Will Smith. 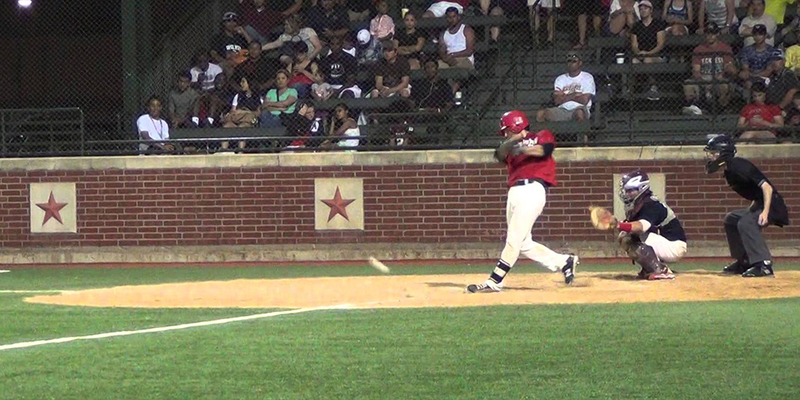 Wong is an athletic hitter who some believe is just scratching the surface of his overall potential. He ranked No. 77 by Baseball America, No. 85 by FanGraphs, No. 109 by Perfect Game and No. 112 by MLB.com. Based on the rankings and where the Dodgers selected, this was a nice value pick. And here’s what others are saying about the pick. I'm a big Connor Wong fan. Super athletic. Played SS for Houston before transitioning to catcher. 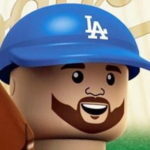 The Dodgers certainly have a type of player they look for behind the plate, and it carries over a bit from the Logan White era (Russell Martin, Kyle Farmer, Lucas May). Wong should be signable as a junior. Don’t expect him to get the $1 million Dustin May got last year, but it shouldn’t take much more than slot to ink him. Yay, a prep arm! The Dodgers ended their “streak” of college draftees by grabbing one of the higher-upside high school arms. He falls into the “pop-up” prospect category, meaning he had such a strong spring that he vaulted up draft boards. That’s because he added 3-5 ticks to his fastball. Instead of sitting in the 87-90 MPH range, he’s now in the 92-94 MPH range and is topping out at 96. He’s able to get plenty of run on the pitch to generate ground balls. He backs it up with a curveball that has flashed above-average. It’s always nice to take a high schooler who has a good fastball-breaking ball combination because a changeup (or cutter) can be taught at the next level. Having said that, his change is fringy at best right now, but expect that it to improve as he turns pro. His frame is conducive to a heavy workload as a starter, so the projection is there. And what others think of the selection. James Marinan was 63 on my board, excellent frame and plus sinker, but needs work on his secondaries. Not as polished but physical tools. Sounds like a mid-rotation upside with a low-end No. 2 ceiling if everything breaks right. But we’re a long way from that. This might be your million dollar prep player, which means the next six picks will need to have some savings because Jeren Kendall (first-rounder) and Marinan are above-slot selections. And that savings might not start here with Ottesen. He has a reliever profile, which usually screams “money-saving” pick, but he’s a draft-eligible sophomore who could easily go back to school if he doesn’t get the bonus he wants. He was ranked No. 81 by Perfect Game, No. 107 by MLB, No. 204 by Baseball America and unranked in FanGraphs’ Top 100. Ottesen has some velocity — sits in the low-90s and gets up to the mid-90s — but he has trouble maintaining his velo consistently and doesn’t get a lot of whiffs on the pitch. He has a solid slider/cutter to go along with the fastball. He has a changeup in the way I have a firm grasp of the English language, so don’t expect him to be a starter long-term. At nearly $300,000 for slot, the Dodgers should be able to snag him for around that, but they’re going to have to save a bit in Rounds 6-10 to avoid any severe penalties. And they will. My favorite pick of the three is Marinan. I’m usually going to opt for a prep player over a college player, and the two college guys seems to have limited ceilings (but also higher floors) than Marinan. But Wong and Ottesen are solid draftees. Onto rounds 6-10.